This year is a big mile marker for the boys, 21!!!!! The past year has brought new and exciting things for both boys. Kaelin has transitioned into some independent living in a home with 3 house mates! This guy has superseded our expectation taking on a bowling league, more chores, more peer interaction and continuing to train for various job tasks. The out come: HUGE smiles, lots of social interaction initiated by Kaelin and a pretty happy guy! Keagan has a part time job and his license, while he is working on some job training skills through his school. His goals are to get a better job so he can move out and live independently as well. He has shown lots of hard work, growth and goals for this guy! 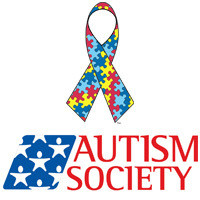 The Autism Society of Greater Akron is a non-profit organization that provides tons of programs and community outreach to educate, support and provide activities as well as connect families and people effected by autism. This is an invaluable resource for the individuals and our communities as we help them help each other, by way of job training and opportunities for those on the spectrum to be active, as well as contributing members of society. Please consider joining us for the run/walk, volunteering or donating today! Many companies offer matching for donations and every dollar goes back into programs such as: iCanBike, iCanSwim, Caring Santa/Bunny, Social Boundaries for Youth, Summit Metro Parks becoming Autism Friendly, Coffee, Tea & Autism, Sensory Story Time, as well as educating the schools, police, fire and EMS about encountering a person on the spectrum and how to best support them. I can't say enough about the resources and opportunities we have experienced, from this grass roots, people helping people group. They don't have expensive head quarters or fancy advertising, yet 80%+ of the funding goes directly back into these programs and our community.